Then at the Weston Price/Wise Traditions conference in November I tried got some fermented carrots and kimchi to bring home. I decided to do a comparison, I wanted to try making my own and see how they tasted up against the ones I could purchase. This was SO flavorful and had the perfect “bite” to it. It tasted like a spicy sauerkraut. Two of the kids ate (and loved) my carrots, but none of them would eat the ones I brought home. Again, here's where to get fermented veggies online. I love knowing how beneficial these foods are for my body and that unless you have health issues and need a stronger therapeutic strength probiotic, just eating traditional fermented foods is SO good for us! The living enzymes, the beneficial bacteria, all the other nutrients in the veggies, I love it. 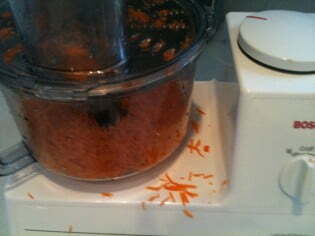 There’s no use in making just a shredded carrot salad when I can be just as easily making a superfood! 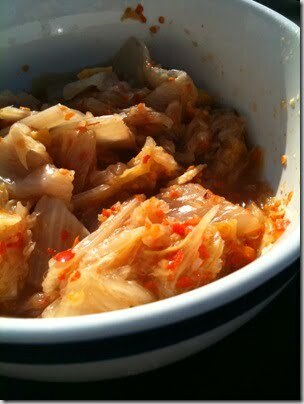 Find more fermented foods info and recipes here! Have you tried homemade fermented soda pop yet? @ Cindy Landskron – Haven’t seen Wardeh’s recipe, I’m using mine from the link above. @ Tara Buss – thanks for the great scoop! Even fresh is ‘thready’. Just it t in pieces (I do 1/4 – 1/2 in.) and it’ll sink down to the bottom. Are you using Wardeh’s recipe? By the way, the longer you leave them, the more tender they get. I read online somewhere that it should be rock hard, smooth and not at all wrinkled. I’m so bad about identifying what really fresh ginger is though. Still learning. @ Tara Buss – I wonder how we can know when it’s too old or not at the store…? I thought ginger was always stringy. Maybe if it’s older, and tougher, then the strings don’t get chopped up as well in the food processor. Whenever I grate it by hand, I always have to grate on the small end, because if I grate it on it’s side, the strings come out. It’s old. Still edible but not desirable. I had one like that a while back. I always experience stringy ginger. It’s really annoying. @ Charity Dasenbrock – I food processed it, but it got so small that most just flew up on the sides, so I did the same, just pulled the “hairy” pieces out, ewww! That happens quite often. I just pull the strings out and use the softer stuff. It probably is old ginger. not bad, just old. Did you grate it or how ? Sometimes I just chop it with a knife. Because it ferments, it gets soft so doesn’t really need to be such tiny pieces as in a stir fry. Let me know if you get any more clues as to what happened! I’m going to try these. I followed Sally’s recipe once and it was definitely too salty. Hello, I just came across this page and learned a few things. I also thought I’d share some things I know, as I’ve now made a few batches of cultured vegetables on my own (last batch was 12 quarts! Btw, if you’re going to do such a large batch, expect to be busy for around 4-5 hours! whew). First, to Kelly, I have an answer for you on your carrots (though I’ve never made CV without cabbage). You say yours was sweet, not sour like Caldwell’s? Well that is a clear indication of a lack of lactic acid — the primary (and very beneficial) biproduct of culturing. Cultured vegetables SHOULD be sour. If they are not, they are not cultured. It’s actually kind of amazing that they didn’t go bad. Either they would have if you’d have left them out much longer OR if you’d have left them out longer, they’d have cultured. With that said, I think it is imperative to use a culture starter of some sort. As I understand, this could be obtained by using a portion of a previous batch as your brine. Otherwise, you could buy a culture starter such as the very popular one offered by bodyecology.com. That’s what I’ve done so far with great success, though I am going to try and just use a bit of my last batch the next time. One other important thing that should be noted by anyone reading this. VEGETABLES ARE NOW BEING IRRADIATED by food companies and/or grocery chains in order to exstend the shelf life of the vegetables. This destroys the bacteria, both good and bad as well as enzymes. This means that culturing vegetables in the old fashioned way, using salt, just won’t work consistently (irradiation won’t necessarily kill ALL bacteria and enzymes though it may very well. At any rate, culturing is greatly affected by this). The answer is simply to buy organic. That’s it. It’s more expensive but I think it’s well worth it. Anyway, I love carrots and can’t wait to try this. I wasn’t quite sure if one had to include cabbage or not. It seems that every recipe for CV I’ve ever seen includes nearly half cabbage. Hmmmm… Well I’m giving it a try. I must say I get a lot of enjoyment out of the whole process — the experimentation, the wait, the occassional opening of the jar to “smell the progress”…lol..and finally the first taste of a new recipe (I give it about a week at room temp. btw..That seems to be best). Great scoop, thanks for sharing all you’ve learned! And I’ll bet you’re dead-on, that my carrots maybe only fermented a little bit if at all, I’m for sure going to use a starter culture from now on. Woo Hoo. I made this today and the worst part about lacto-fermented foods is waiting 3 days. 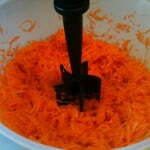 I’ve got sauerkraut, salsa and these ginger carrots and with the food processor, it is so fast. I can’t wait to try them. My garden is just not doing that well and I’m loving lacto-fermented foods because I don’t think I’ll have enough of anything to can. I’ve been freezing some foods and also love the convenience and ease of lacto-fermenting. 4) no mention of reducing the time,but out of curiosity I will be checking after 7 days! Newbie here but been fermenting for several months now. I just used caldwell starter for a pepper relish. My home is in Florida so the temp in the house has been around 78*. The caldwell starter directions say to let it ferment for 7-10 days but at a temp of 70*. Should I ferment for less time since the house temperature is higher than 70*? My best guess would be “yes” to your question, but I’m not an expert fermenter so I don’t know for sure. Maybe check with Caldwells?? I wouldn’t adjust the time significantly. 8 degrees isn’t a huge jump and is still within what is generally considered room temperature (if a bit on the warm side). 7 days should do the trick. Can you do the same thing with out adding Ginger…. While I love ginger I don’t know what they would think about it. Just don’t know if the ginger is necessary for the fermentation. Without ginger would be fine, but then it just might taste like sour carrots. I think the ginger gives it a bit of a sweet tang. Whoo hoo! 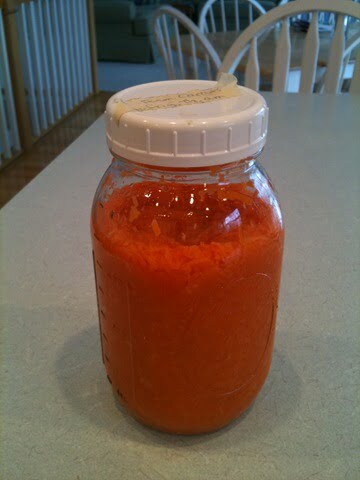 I just tasted my first try at fermenting – your fermented carrots recipe – and it worked!! I’m not a ginger fan, so that part is kinda weird, but I’m just so excited it worked! Sounds like everyone has the same question about salt! What I’ve always heard and experienced is that the saltiness decreases as the fermentation goes on. I’ve had them be too salty and not sour enough after 3 days of fermentation, but if I leave them for a week or two, the flavor is much better! In any event, don’t be deceived by the saltiness in your unfermented mix … the flavor you’ll end up with after fermentation is different. The salt is necessary to keep the bad beasties at bay while waiting for lactic acid to build up, but if you have very good whey/starter or use more of it, you may need less salt. More salt = safer, less likely to have a bad batch that you have to throw out. Sounds like you had some good fermentation going on! I am half way through the 2 day ferment for Fallon’s pineapple chutney. The jar was leaking at the lid and I was afraid it might explode, so I opened it carefully. The fruit popped up about 1/2 an inch over the rim and I gently pressed it back in, took out some of the fluid, pressed all the fruit down (there was about 1 1/2 inches of fluid at the bottom of the jar.) I put the removed fluid back in and closed the lid tightly. Did I spoil it? Would it have exploded? Will it be safe to eat tomorrow? How can I tell? Thanks for the info. Am definitely interested in making beer by wild fermentation! Thanks for passing along my Question Kelly! It IS possible, however, to make beer by “wild fermentation” rather than commercial yeasts, and this product can be beneficial like other probiotic foods. My partner has been making beer by this method for quite a while, using the methods and recipes described in the book book Sacred and Herbal Healing Beers by Stephen Harrod Buhner. Fermentation refers to “an enzymatically controlled anaerobic breakdown of an energy-rich compound” (according to Merriam-Webster) so many foods, including beer, definitely qualify. There are different types of fermentation though. For example beer is normally fermented using an added yeast. This is different from something like lactic acid fermentation which is how foods like yogurt, kefir, sauerkraut, etc. are fermented. So beer would be a great deal closer to bread made with commercial yeast than it would be something like sourdough. Normally when we talk about the benefits of fermenting our foods, we are discussing lactic acid fermentation which results in lots of beneficial yeast and bacteria. Beer is a bit different but certainly the process has its benefits in terms of breaking down the grains, etc. Kim, that’s actually NOT a dumb question at all! Beer IS a fermented beverage, but I don’t think it’s as beneficial for us as other fermented foods, and I’m not sure why. I’m going to ask an expert this and see if she’ll comment here. Thanks for bringing it up! This may be the dumbest question you were ever asked, but here goes: Is beer considered a fermented beverage? Cant wait for the answer! Can I half this recipe and if so would I half the salt also? Here is my official and expert answer: I think so. Hi Kelly, no not at all. I meant I wouldn’t make it with less salt than SF calls for. But I think that using some of the starter from your last batch will increase the number of probiotics over time. I have absolutely no proof of that other than the fact that my buttermilk starter gets stronger over time, especially if I don’t use a clean jar (essentially increasing the starter). Annette, sorry to be dense, but you’re sure that less salt = less probiotics? Maybe that’s why I got the die-off symptoms with Caldwell’s but not with mine…? More salt slows down fermentation. You need enough to keep bad microbes at bay, but not so much that it’s either inedible or takes too long to ferment. I think the exact amount takes trial and error. I would just add a T of the liquid from the jar to your next batch to speed things up. I know when I don’t clean out my kefir or buttermilk jars they set up in just a few hours instead of a day and the buttermilk has explosive power in the pancakes that doesn’t just fizz up and die out. I make a double batch of pancakes each time to freeze the extra: https://www.sustainableeats.com/2009/03/22/whole-grain-buttermilk-coconut-pancakes/ which takes awhile to cook so when my buttermilk is weaker (if I haven’t used past. milk in awhile on the starter) it fizzes then dies out before I’m done. So I’m guessing the amount of probiotics increases as you continuously reuse the starter. I would follow the NT recipe as far as salt goes. BUT if it’s too salty that way you can always put the carrots on top of salad or mix it into an asian style coleslaw (I would use sesame oil & cabbage & rice wine vinegar.) That way you get all the probiotics in the carrots without it being too powerful. If you rinsed the carrots off before eating you would lose some of the probiotics. I hope that makes sense. So I just add the carrots and all, like a couple tablespoons or ?? from the last batch, and then just that helps the process? Kelly, if you use a little bit of the last batch when you make the next one you’ll boost the good guys that have developed and speed up the process (sort of like adding the Caldwell starter). Eileen, you can add extra fresh carrots to it when eating to cut the salt factor. I wouldn’t go below the amount of salt that SF recommends though. Thanks so much for mentioning “the reaction”! When I first started eating fermented veggies and tried the grain soaking I found the reaction disturbing because I couldn’t find any confirmation that it was normal, I thought I had done something wrong. I gradually figured out that it was normal, but it’s nice to hear someone speaking openly about it. :0) The carrots sound delicious. We’ve only done a few variations of saurkraut around here and they are definitely keepers. I love the fermented veggies, but continue having inconsistent results. Thank you for posting about the culture starts, I’m going to try that. I just tried these carrots and even putting in only 1 Tbsp of salt, it about puckered my mouth off my face! Is there any way of knowing how little salt can safely be added to these ferments? Also, any ideas of how to salvage this jar — what might it be mixed with to help tone down the salt but still retain the good bennies? The ginger was a really nice touch! I’m so excited! Remember all that salsa I mentioned making last week? Well, I gave away a few quarts to friends, and kept a 1/2 gallon for home, hoping I could convince my husband he NEEDED to eat it. (He can’t even handle the smell of my cortido or spicy carrots…) Well, he has willingly eaten it the last three days in a row! Yippee!! He’s had it with his eggs & toast in the morning twice, and yesterday when he finished his eggs & realized he forgot, he actually had some with chips later in the afternoon to make up for it. Double yippee!! I’ve also got my first batch of kombucha working. It will be ready to be bottled for the secondary ferment later this week. My hubby WANTS, yes wants, to start drinking that, too! Ah… what a successful probiotic week this is turning out to be! I don’t have to buy it often (the plain stuff), but when I do, it’s usually Stonyfield. HAHA – yes, no low fat stuff 😉 The world tastes so much better that way! And our bodies are nourished. I was more asking about BRAND, as I know to buy organic WHOLE milk yogurt. Would Stoneyfeild or Redwood Hill (goat) be best since they are unhomogenized? What brands do you restort to? Meagan, I’m using Redwood Hill goat yogurt right now – we prefer unpasteurized but our goatshare is currently dry. This yogurt is wonderful for whey because it naturally separates a bit on its own. Every time I open the container I just pour off the liquid and save it in a jar. I just used it to ferment anchovies into nam pla (Thai fish sauce). So I would say that RH plain yogurt is a good source for whey if you like that yogurt. How do most of you make your whey? When I am home I strained homemade raw milk yogurt, but what is the best yogurt to buy in the store for this? I do not have access to good raw milk yogurt as I am studying at school. I am a rookie so be gentle! 🙂 About how long do fermented veggie last in the jar(s)? So if I am the only one who likes them in my house how fast do i need to eat them? and then, you use the whey to ferment your veggies! I’ve never fermented a single vegetable before, so I’m going to apologize in advance for the basic question, but can I just use the whey that I drain off of plain whole milk yogurt? Or do I have to get some kind of special whey? 🙂 i like to make sauerkraut mixing red and white cabbage–it turns pink!!! I’m intrigued. My doctor (found one who uses holistic methods!! so excited!) advised me to eat lacto fermented veggies as condiments but I got skeered off by the salsa I tried. I don’t particularly care for carrots so I was afraid to try them but I might try to make this. It doesn’t taste vinegary at all? I do not find it to be vinegary myself. It doesn’t take a lot of special equipment to try it & carrots & ginger are pretty cheap. 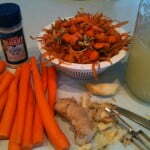 So maybe it’s worth an experiement to you to try the ginger carrot recipe? The temp affects the ferment a fair amount. When it’s hot (like in the summer & over 80), the ferments can be extra ‘zippy’. When I first had the lacto fermented ginger carrots I found them a little strong, but they grew on me & I did like eating them better with other things & not by themselves. (They make a nice “salad” combined w/raw apple for example). Jessie, that is just a quart size Ball/Mason jar in the pic, but I do use old pasta sauce jars or whatever for lots of stuff too. I have just made the fruit chutney (using apples) from NT and the turnip recipe & both are good. Fruit chutney started out spicy, but seems to have mellowed a bit in the fridge. Question – Kelly it looks like from the picture you used a non-mason jar. Did you do that? I’m wondering because I have some other glass jars sitting around that I’d like to find a use for. I think the ambient temp plays an important role in the process. If the temp is too low, it may not work right. We can keep our house really cold & so my solution for that was to use a water bath my husband has for photo development. I fill it with water & pop the jars in (w/water below the rims / lids) and keep it at an even 75-78 degrees. I have only used whey & it has worked for me. Oh – I use salt & whey – not only whey. I was meaning to say that I don’t use starter cultures & everything has worked great. Peggy, so you were the opposite of us, you liked the chutney and not the carrots?! Sue, I’m telling ya, there’s something about these, you gotta try them! Kate, that’s great that you love kombucha, now that I’m onto Kefir soda I never make kombucha anymore, I loooove the kefir soda. I’ve had bad luck with pickles. They get slimy and don’t stay crispy. I’ve tried grape leaves – no luck. I have become obsessed with kombucha (I need to get a mushroom because buying G.T. Dave’s is getting expensive!). Pickles are up next! I WANT to like fermented veggies but I’m just starting out. You crack me up! Fermented carrots——“DREAMY!”…..?! Either I am just not at the fermented vegetable stage yet and need to broaden my horizons, or I need to get off my sweet tooth and stop naming brownies and creme brule “dreamy”….! Ha ha ha! 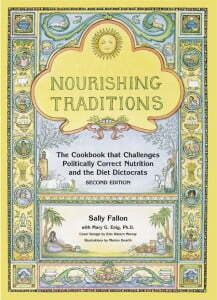 Okay, Kelly, if *you* say so…then I will try my hand at the fermented ginger carrots again! We tried them once loooonnng ago, and unfortunately thought they were ghastly. The recipe in NT says to use 1 tablespoon sea salt, which I have been told to pare down to two teaspoons. I didn’t want to try it again after wasting all of those organic carrots, but if YOU say so…:) What surprises me is that you used the full tablespoon of salt and still seemed to like it! Maybe the extra ginger was the positive kicker…and two of your kids loved ’em, too?! Wowza! I will forever remain hopeful! I hope to do some ferments this summer when we start getting our CSA veggies again. Thanks for the encouraging post on it! Do you need a special attachment to do the carrots in the Bosch? I have one, but wish I had a list that showed me what attachments to use for the all the uses Marilyn Moll shows in her catalog. Leah, I’m new at all this so I don’t know! Maybe someone else will jump in. Jeanne, how neat to have a traditional family recipe to go by. My mother in law, who is german, makes a wonderful carrot salad. I never realized that it is a ferment vegetable. She makes it a couple a days ahead and leaves it on the counter. She uses a really good vinegar instead of whey. Thanks for reminding me of it . . . I have carrots to use up and will make her salad. Kelly, I have a question for you or any other lacto-fermenting experts. :) I have made the NT gingered carrots recipe several times and love it. But this last time that I made some, it turned out really slimy. It tastes and smells fine so I am rinsing it off and eating it anyway, but the consistency is gross. Did I do something wrong? I followed the recipe pretty carefully, only I did cut back on the salt. Ahh, that makes sense. I have notices that the longer they sit in the fridge, the less slimy they are, for some reason. Anyway, at least they’re still edible! Hey just a note, Jenny over at Nourished Kitchen has a free e-book with fermented recipes that are really good and her photos are gorgeous, it’s called Get Cultured: Probiotic foods from a Nourished Kitchen. Check it out!!! Tracy, that’s why I’ve heard it might be good to go with a fermented starter, so you get more consistent results. Sarah, I’m SO checking out that recipe!!! Sandy, the glass bottles are just ball jars that you can get at hardwares or big grocery stores. The plastic lids can be found in the same spots and come in 2 sizes, regular and wide-mouthed. I use them a LOT. Kaitlin, you big SWEETHEART. I appreciate that SOOO much. Hi Kelly! I appreciated your blog so much! Just wanted to stop in and let you know I’ve been buying from Amazon through your link! Hey! I love reading your blog! I was wondering where did you find that glass bottle with the plastic lid. I’ve looked around and haven’t seen any like that around here. I’ve been searching for a while, but admittedly not too hard. Thanks! I’ve been thinking of making the gingered carrots . . . might have to try your recipe! I make a LF pico de gallo salsa that I can’t keep in the house we go through it so fast, it’s on my site if you want the recipe and it has never tasted like beer, just salsa! And I too crave the LF foods and kombucha from time to time . . . always a great reminder to listen to our bodies! Can this be done without whey? That looks so yummy! I’ve been saving the whey from goat’s milk yogurt hoping to use it in a fermented recipe. I’ve never used whey before – just salt – but I’ve never fermented anything that could be problematic given its density, like carrots. So I’m excited to try using it with this recipe. Thanks for posting it! Hi Kelly, I have been waiting on your post for ferments. Just started doing them myself about 2 months ago. I have noticed every batch I do turns out different since it is usually what I have on had. Never thought about my extreme fatigue and bloated belly as some sort of diet off but you made me think. Especially since I too , keep going back for more. Yay, I ‘m glad you finally made the leap to lacto fermented veggies & fruits. We haven’t tried any fruits yet, but your cranberry relish idea sounds yummy! Is the recipe from NT? If not, would you mind sharing? At the moment, I have about 5 qts. of salsa, and 2 1/2 qts. of spicy carrots “working” on the counter. Yum!